Learn to cook and eat like a true Italian with Gino D’Acampo as your guide. Inspired by his trip for the major ITV series Gino’s Italian Escape: Hidden Italy, Gino takes you on a culinary journey through northern and central Italy, uncovering hidden gems and local specialities and sharing authentic regional recipes. Some are well-known classics, such as cozze alla marinara (mussels in white wine with cherry tomatoes and chillies) or fettuccine allo zafferano con ragù (saffron-flavoured pasta with a rich meat sauce), while others are regional favourites given a creative Gino twist – an Umbrian lentil salad with butternut squash, walnuts and cranberries or a Tyrolean no-bake apple strudel with raspberry sauce. All the recipes are mouth-wateringly delicious and incredibly simple, so you can achieve perfect results every time. 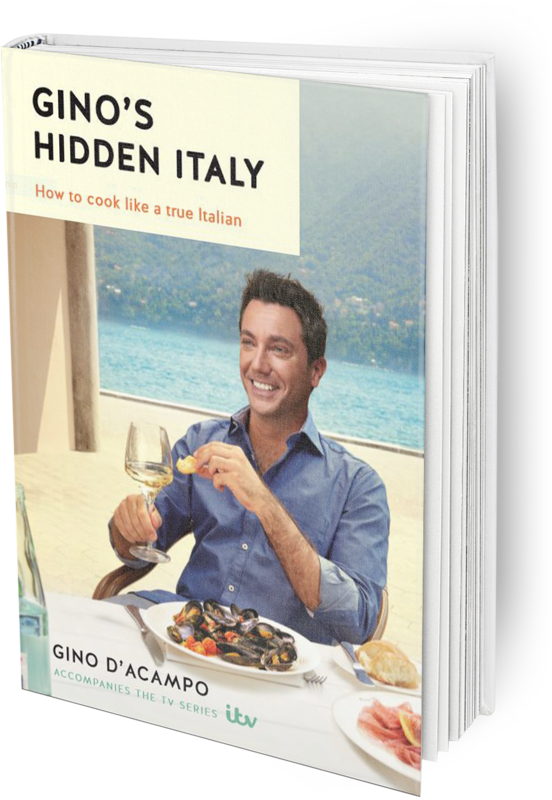 Click below to buy Gino’s Italian Escape: Hidden Italy or to view recipes from Gino’s Italian Escape: Hidden Italy. As I was filming in the region of Trentino-Alto Adige I discovered that many locals have their own secret recipe for the perfect apple cake. The film crew and I were constantly trying different recipes and this is the one we all agreed is the best. Thank you to chef Stefano from Ristorante Pellegrino for sharing his secret recipe with me – and now with you too. A speciality of northern Italy, these delicious biscuits are often served as an Easter treat. I have tried them with red wine and they work well too. If you have any biscuits left over, store them in an airtight container – they will last up to a week. Serve with a dessert wine.